A passport is a necessary document used by all individuals interested in travelling abroad. The passport is a government-issued legal document that provides travelling agencies as well as the government with a distinct form of identification for the traveler. The passport is a small legal document which is issued by the United States’ Federal Government. The document contains several pages which are used for stamps; whenever an individual travels to a foreign country; their passport is stamped with the date and location of their travel. The passport’s first page is comprised of a photo ID of the holder. The photo ID serves as the passport’s foundation; it is the dominating image that is used to signify legal ownership of the document. The passport photo must be taken of the individual holder of the passport; any false pictures or misleading pictures will result in the termination of the passport and a subsequent investigation. As a result of the passport’s basic function (allows foreign travel) the procedures and requirements for issuance are stringent and regulated in an exacting manner. When filing for or renewing a passport the applicant must supply the government office with two valid passport photos. In some locations, a passport picture will be taken at the site; however, this is dependent on your local municipalities’ equipment and their specific passport procedure. As a result of this variance it is suggested that all applicants bring at least two color photos when filing for a passport. The photos must be taken in an exacting manner. The photos attached to the United States’ Passport must be 2X2 inches in terms of length and width and must be in color. 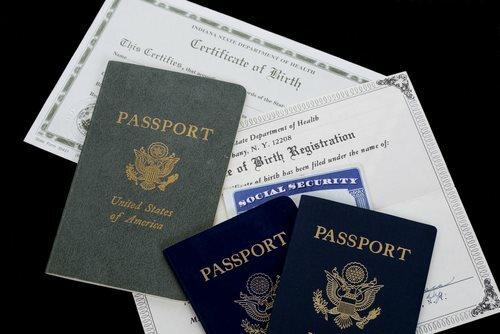 The individual applicant, in the passport photo, must be dressed in everyday clothing—any suits, military wardrobes, or occupation-related gear is not permitted in a United States’ passport photo. The applicant must also exclude any accessories that change their image. If the applicant wears glasses on a daily basis they are permitted; however, any attempts at altering a physical appearance are not allowed in a United States’ passport photo. The photo must be recently taken; any older pictures which portray a different physical appearance will not be accepted as a valid passport photo. The applicant must be facing the camera in their passport picture. Any poses or blocked features will not be accepted as a valid United States’ passport photo.